You can sort the data in your query that you are using for DataSet definition. Let's say we would like to sort the data by Region, we can use below query in our DataSet. If you are using Stored Procedure you can use Order by clause in your Select query inside Stored Procedure. You can sort the data in report after retrieved from data source. You can enabling sorting on Tablix,group or detail group. Sorting can be enable on Tablix, Matrix,List, Chart,Gauge etc. Click the properties of Report Item and if you see Sorting listed in properties you can enable sorting on those report items. you provide button on columns for the users to choose the sort order. 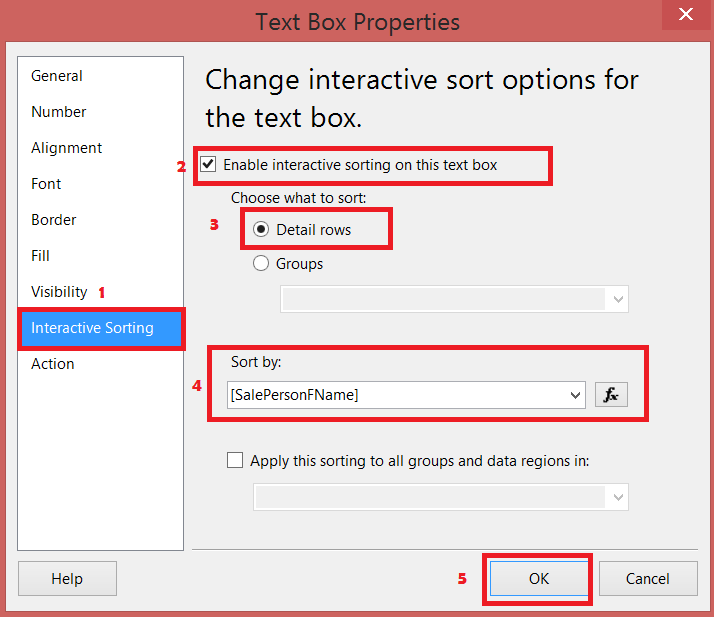 ii) In Text Box Properties go to Interactive Sorting Tab. Click on Enable interactive sorting on the text box. In next step you can choose either you would like to sort details or on Group. Finally you have to choose the Column which you would like to sort. You have option to write expressions. 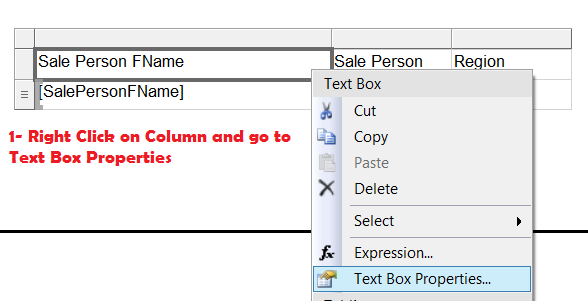 Hit Ok. Now once you preview report you will see a Interactive Sorting Button in Column as shown below.